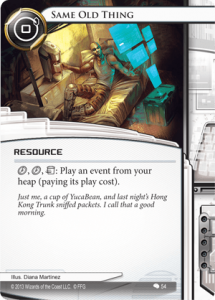 Every champion has to start somewhere, and in Netrunner that story starts with a Core Set and a kitchen table. Maybe a teaching game on jinteki.net for the particularly adventurous. Eventually, they decide that the game is for them, and that they’d like to play strong decks against strong competition. Ideally, the World Championship decks that Fantasy Flight publishes would provide an economical entryway to the competitive scene, but the NAPD Most Wanted List (MWL) has made both of these decks illegal in their current form. That’s where Netrunner celebrity SimonMoon comes in. Fresh off a 2nd place finish at GenCon, his idea was to provide a resource for new players looking to cautiously swim into the depth of what Netrunner has to offer, without having to dive in head-first and buy hundreds of dollars worth of packs. Because his GenCon decks featured most of the cards from the Worlds 2015 decks, they seemed like an ideal starting point. With a little adaptation, these decks could be cheap and still retain almost all of their potency. When you’re learning Netrunner, it’s important to play with strong decks, like the World Championship decks. These decks are powerful tools that will allow you to compete at the highest levels of Netrunner. When you show up to a tournament, you can make deckbuilding mistakes and play mistakes — taking proven decks allows you to focus solely on improving your play without having to worry about your deck. Playing your own decks is fun and you should do that too, but playing established decks helps you become a better player. His mission, which I chose to accept: Create a pair of decks that could win at the 2016 World Championship, for around $100 US. This sets you back $107 — close enough! One important caveat is that you need to borrow one Levy AR Lab Access from a friend. This shouldn’t be too hard, as this card is almost always played as a one-of in decks that need it. 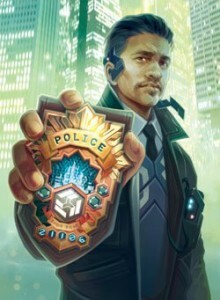 If you absolutely can’t borrow it from a friend (or proxy it), the big box that it comes in, Creation and Control, is an outstanding addition to your Netrunner collection. Without further introduction, here are the decks. 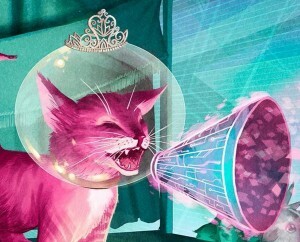 The first incarnation of this deck was piloted to a Top 16 finish at Worlds 2015, not by Dan D’Argenio but by Minh Tran, spawning one of the most clever and least cringeworthy deck names in Netrunner — Minh Maxx. Once Wireless Net Pavillion received errata to make it unique, the deck was shelved by most. However, changes to the metagame, such as updates to the MWL, pushed the deck back into the forefront. Dan D’Argenio and Kenneth Deakins piloted an updated version, dubbed “Gramble Scrub,” to the top of GenCon 2016, finishing in 1st and 2nd respectively. The win condition of this deck is Data Leak Reversal, or DLR. You want to mill your opponent’s cards faster than they can score out their agendas. Because using DLR’s ability requires you to be tagged, you’re going to want to protect it with Wireless Net Pavilion, which makes it cost more to trash, and Fall Guy, which prevents DLR from being trashed altogether. If your opponent has a lot of money, they can trash your resources relatively easily — which is why your main focus is not to mill your opponent, but to deny them the credits to trash your resources. You do this with Account Siphon (and continue doing it by using Same Old Thing and Deja Vu to replay these Account Siphons). Undoubtedly, your opponent is going to try to heavily ICE HQ to prevent these Account Siphons, so you’re going to use icebreakers (primarily Eater) and tricks like DDOS to get in. Another way they may try to avoid losing money to Account Siphon is by rezzing assets and upgrades, such as SanSan City Grid or Eve Campaign, to put them close to zero credits after they’ve passed your HQ ICE. To stop them from “ducking” your Account Siphon, you can use econ cards as well as Scrubber to get rid of assets and upgrades before you commit to Siphoning. The main dynamic of DLR is figuring out when you want to try to Siphon to keep their credits low, when you want to add to your resources (perhaps adding more protection for your DLR, or playing a Joshua B to give you more clicks and flexibility), and when you want to check their remotes. As the game progresses, your opponent will likely pile more ICE and potentially defensive upgrades on HQ, making it harder to Siphon efficiently. You may want to Siphon them, given the opportunity, but mostly you’ll be focused on milling their remaining cards as quickly as possible. Ideally, they won’t have the time and credits to withstand Siphon threats, trash your resources, and also score Agendas. This deck has a very high skill ceiling and is much more than just spamming Account Siphon and DLR — though it can be in the endgame when you’ve played particularly well! Learning how to Siphon well is the first step in playing a DLR deck successfully. It teaches you to recognize when you need to deny resources from your opponent, and when you need to develop your own board (through econ, milling, and adding Fall Guy / Wireless Net Pavillion protection for your DLR). A very important concept to DLR is that of imposing opportunity costs on the Corp. If you’re Siphoning, and the Corp rezzes HQ ICE, that Siphon can open up other servers, usually a scoring remote, to attack. (Remember that because your primary breaker is Eater, you generally don’t want the Corp to rez ICE on a remote.) Siphoning to force a rez can also make it hard for the corp to trash your DLR and support resources. However, if they don’t rez ICE, the Siphon run is more profitable, and repeated Siphons are also more profitable. The deck also encourages you to recognize ICE suites. For example, if your opponent is at 8 credits and they typically play ICE that cost 3 or 4 credits to rez, you can siphon through one ICE for 4 of their credits, assuming you can get past their piece of rezzed ICE. Things get tricky when dealing with ICE that isn’t breakable by Eater (Turing and Swordsman) or protective upgrades (Caprice Nisei or Crisium Grid). Finding the solutions to getting past these roadblocks and getting your opponent back to zero is very rewarding, even as it may be equally frustrating for your opponent. The more things change, the more they stay the same. Haas Bioroid: Engineering the Future glacier has been around in many different forms since the beginning of netrunner, from Redcoats to Deadcoats to Foodcoats. The core strategy of the deck is to make money, set up taxing ICE on your central and remote servers, and then score your agendas. Foodcoats’ top finish at Worlds 2015 resulted in many of its powerful cards going on the MWL. With this updated version, you’ve lost a few powerful ICE and the consistency of having 2 Caprice Nisei, but this deck has proven that most of the time, that’s still good enough. Foodcoats wants money, and it wants it early. Typically, the first priority is to ICE an Adonis/Eve Campaign, ideally with a Breaker Bay Grid to rez it for free. With a few exceptions like Siphon decks, you can ignore icing centrals and build a decent remote. Once you’re making money, you can start adding ICE to centrals. You can also start adding ICE and defensive upgrades to your campaign remote with the idea that once the campaign has paid out enough, you can turn it into a scoring server. When you feel that there is a scoring window — when the Runner can’t profitably get into your remote because you have hard-to-deal-with ICE and/or defensive upgrades, you can score out your agendas. While the powerful ICE, Eli and Architect, have seen their numbers decline, the ICE suite still holds up. You have ICE that punish facechecks with no breakers, and ICE that punish runs with breakers but not enough money or clicks. You have hard End-the-Run ICE that the runner can’t click through. Against Atman, you’ve got a decent variety of ICE strengths. You also have many tools that encourage dynamic agenda play. If you can protect it, the once-advanced agenda is your friend. You can get a Project Vitruvius counter, which is great for getting back agendas from failed beta tests. You can install a Jackson Howard or use Archived Memories on your last click if your once-advanced Accelerated Beta Test doesn’t go as planned. You can score a hard-to-steal NAPD Contract. Biotic Labor can also give a lot of flexibility to your scoring plan — a once-advanced Global Food Initiative (that could just be an unappetizing-to-steal NAPD Contract) can be scored with Biotic Labor. You can also leave Campaigns in your scoring remote and score a 3/2 like Accelerated Beta Test with Biotic Labor, if your opponent doesn’t have access to Clot. Choosing what packs to supplement with is an interesting problem. DLR Maxx is the obvious evolution of the Worlds 2015 runner deck. That means that not only I’ve Had Worse and Maxx are needed, but also Levy AR Lab Access. Because Levy is a one-of (and because it’s in a pack everyone should be getting sooner or later), using Order and Chaos makes sense. One combination of cards that is present in the GenCon 2016 list, but not in Budget Minh Maxx, is Femme Fatale and Retrieval Run. 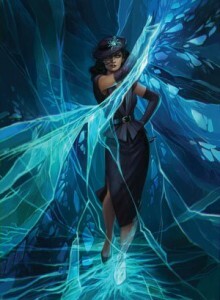 Femme Fatale (and Retrieval Run to lower its install cost) allows you to bypass any one ICE if you need a quick answer and also provides a permanent solution to Swordsman. The pack that Retrieval Run is in, Future Proof, is a great pack and a good next step, but isn’t necessary to the deck’s game plan. Removing the Femme and Retrieval Run for Mimic and Yog.0 still solves the deck’s problem ICE, Swordsman and Turing (on HQ). The last pack chosen was one of the newest, Blood Money, with three important cards. 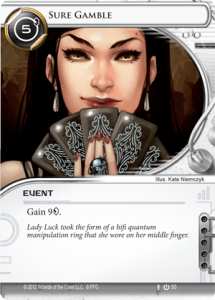 Rumor Mill is a potent solution to number of unique cards, the most notable being Caprice Nisei and Jackson Howard. Paperclip is an excellent barrier (read: Wraparound) breaker that eliminates the need for recursion, synergizing perfectly with DLR Maxx’s game plan. Last but not least, Fairchild 2.0 is an efficient, heavily taxing piece of ICE that has only one real weakness, Yog.0. Also of note, Temujin Contract is in Blood Money, which is a very powerful econ card to have access to when building up a collection. If you’ve got more room in your budget, there are a few ways to improve the Foodcoats deck. NAPD Contract is a great agenda but takes up influence better spent on powerful ICE like Eli and Architect. Adding a high-powered agenda that serves the deck’s game plan of making money like Corporate Sales Team from Business First, or even more copies of Project Vitruvius from Cyber Exodus, would give this deck a little more power. One of the best ways to get better at the game is to practice playing good decks. When your openings, tactics, and endgames are committed to memory, it’s much easier to focus on your opponent’s moves. One of the commonalities that I see in top players is a calculated, almost robotic style of play, made possible by a strong understanding of both their own and their opponent’s deck. When you don’t have to think about your moves, you reveal less hidden information to your opponent. Consequently, you also have a lot more mental energy to devote to figuring out what your opponent is going to do. Many people have a fear of playing known, established, or seemingly boring decks. When you’re playing competitively, you need to put that fear aside. As with many other sports or competitive games, the boring plays and core fundamentals, which are executed again and again, are what set up the trick plays that make the highlight reels. Foodcoats, Gencon 2016, Haas-Bioroid: Engineering the Future, MaxX: Maximum Punk Rock, Worlds 2015.